Is the 1903 Eclipse building doomed? 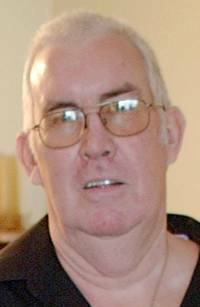 Brian Charles Belliss, a former longtime Toronto Sun composing room employee, has died at 70. "It is hard to believe the time has come when we begin to lose the people we have spent a significant part of our life working with and enjoying each others company. Brian was my boss when I was brought on full- time at the Toronto Sun in 1972, with the Financial Post. He was great to work with, instructive, very calm, satirical and encouraging. As a foreman, he was a classical example of why it was so great to work for the Sun. He was not just a boss, he was a friend." "Very sad to hear of the news of Brian, the gentle giant. He was always so nice and friendly to me when I first started as a student at the old Sun Eclipse building, making us feel comfortable in our jobs and taking the time to show us things that were new and interesting. His wonderful smile and his great sense of humour was one of his many ways of showing support. An all-round good guy." "I am very sad after hearing the news of Brian Belliss, a fellow Toronto Sun co-worker, passing away. I worked with him for over 20 years. From the good old days at the Eclipse building and at 333 King St E. He was always friendly to me and I have fond memories. Rest In Peace Brian . . . you will be missed my dear friend." A 1972 Toronto Sun composing room photo, courtesy of Nancy Stewart. From left to right: Marty Peterson, Charlie Shaver, Joan Murrell, Brian Belliss, Bob Chambers (sitting), Marjorie Spitelnic, Dave Couch (sitting). Thanks to all who could make it to my Dad's memorial service today. My whole family really appreciated it. And thanks for the kind words on this blog. We can see our Dad was just as respected at work as everywhere else in his life. I was sorry to read of the passing of Brian Belliss. Regarding the 1972 photograph of some of the Toronto Sun composing room staff. The fellow with the beard at the right side of the picture is Dave Couch and yours truly, Bob Chambers, is sitting just in front of Brian. 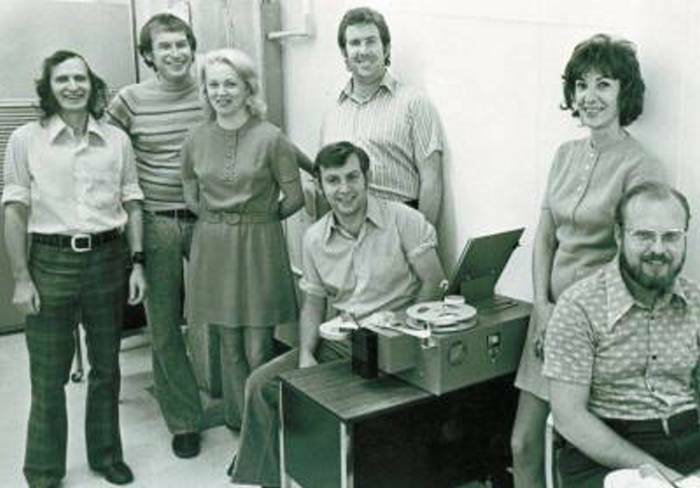 If memory serves me right all of the people in the photo worked at The Telegram and were among the original Toronto Sun composing room staff who were hired by John Webb when he started up Sun's composing room in early 1972.